There is professional football … I repeat, there is professional football in Tucson. 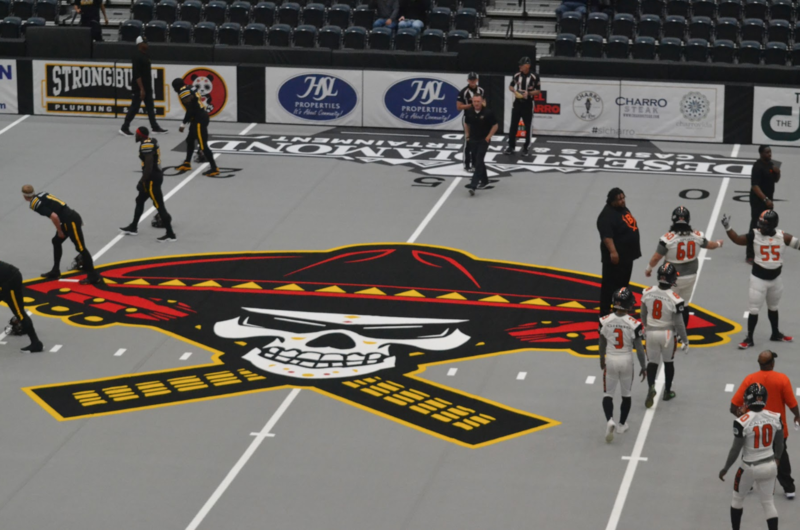 The Sugar Skulls, a new Indoor Football League team based in Tucson, has started their inaugural season. The Indoor Football League is an eight-on-eight football game on a 50-yard field with walls that resemble that of a hockey rink. This speeds up the game, making it more of a backyard high scoring type of game resulting in high scores and a ton of high-contact football. It’s great for the fan experience and brings a new entertainment choice to Tucson. The Sugar Skulls look to make an impact in their opening season by going into it with very high expectations. There have been expansion teams in the NHL and MLS that have had a great deal of success. The Atlanta Legends and the Las Vegas Knights both made it to the championship game in their respective sports, and the Legends won it all. The Sugar Skulls are looking to duplicate that success. 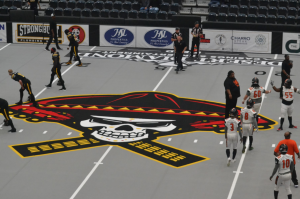 The Sugar Skulls have started their season with a good step toward the IFL championship by opening their first two games with dominating wins over the San Diego Strike Force and the Bismarck Bucks. After the high-scoring affair, quarterback Matt Behrendt praised his team’s performance. With the IFL being a smaller-dimensioned field, there’s a difference when it come to the coverages and blitzes that can be run. In the IFL, players only can blitz the A gap (in between the center and the guards) because there are only three down linemen. Another rule that stands out as different from the NFL is that when there is roughing on a receiving team, the other team gets a point. This happened at the March 11 game against the Bucks. The field is a carpet-type surface, so there is no need for the player to wear cleats. Rather, some were wearing Jordans. 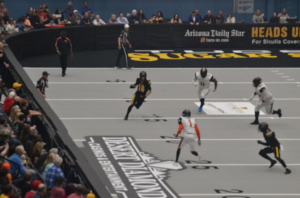 Cam Gaddis, a Pima Football alumnus who plays defensive back and is an IFL veteran, became a part of the Sugar Skulls. “One thing was me being from here, and I guess having arena experience and just staying ready and staying in shape,” he said. Gaddis’ previous teams were the Omaha Beef, the Billings Wolves and Duke City Gladiators. After traveling around the ringer in the IFL, he looks to make an impression this season for the opening year of his hometown team.